У петак, 20. јула 2018. године, Његово Преосвештенство, Епископ источноамерички Господин Иринеј, у пратњи јеромонаха Максима и ипођакона Милана Дамљановића, посетио је највећи дечији камп у Епархији источноамеричкој и упознао се са током боравка деце у кампу. Владику Иринеја дочекали су протојереј Милан Пајић, директор кампа, васпитачи - свештеници, ангажовани сарадници у кампу и деца - учесници кампа. По дочеку Епископа, сви су заједно ручали, а после ручка Владика је одржао час историје, у току којег су деца показала велико интересовање, учествујући питањима и коментарима у истом. Епископ је са својом пратњом, цело поподне провео у кампу, не скривајући радост свог срца због посете истом. 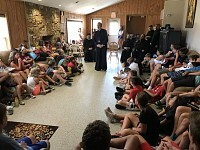 On Friday, July 20, 2018 His Grace Bishop Irinej of Eastern America, accompanied by Hieromonk Maksim (Ilic) and Subdeacon Milan Damljanovic, visited the largest children’s camp in the Diocese of Eastern America and acquainted himself with the children enrolled in the current camp program. Thus far, during both weeks of camp, nearly 80 campers have been enrolled each week. Bishop Irinej was welcomed by the Very Rev. 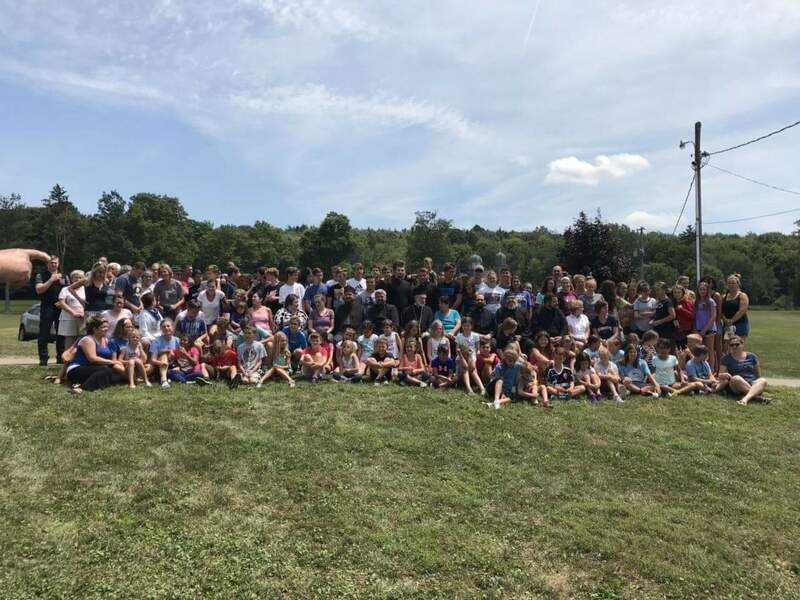 Milan Pajic, camp director; Millie Radavich and DeeDee Baskot, Federation of the Circles of Serbian Sisters president and vice president; and head counselors, Danielle Kochka and Nebojsa Varagic, together with the clergy, counselors, parents and workers, as well as all the children participating in the second week of camp. Upon the arrival of the Bishop, everyone sat down to a delicious common luncheon. Following which, the Bishop taught the children about the forthcoming centennial celebration of “The Day the Serbian Flag Flew at the White House”. The children listened and actively participated with great enthusiasm. Afterwards, His Grace answered spontaneous questions concerning the tenets of the Orthodox Faith. The Bishop and his entourage spend the entire afternoon at the camp, truly showing his great and heartfelt joy.